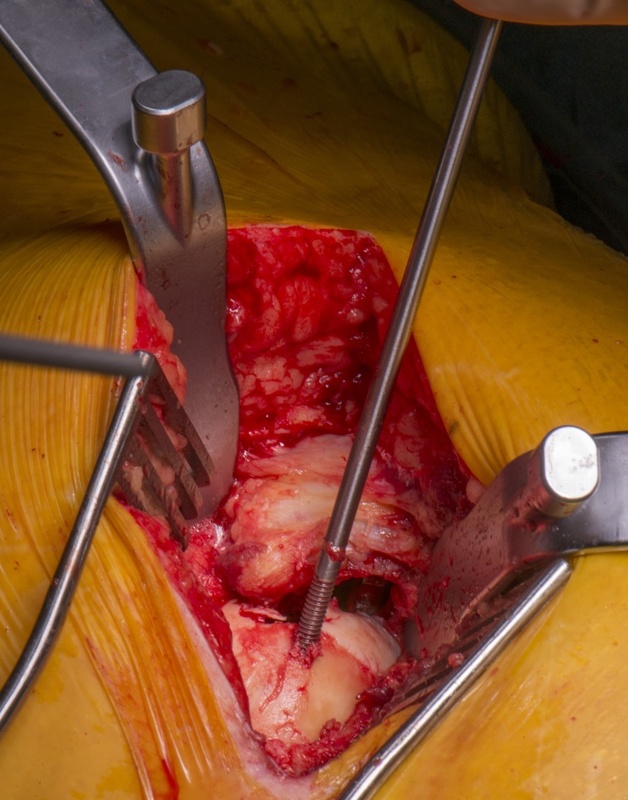 Learn the Microport Intracapsular Total Hip Replacement surgical technique with step by step instructions on OrthOracle. Our e-learning platform contains high resolution images and a certified CME of the Microport Intracapsular Total Hip Replacement surgical procedure. Traditional approaches to Total Hip Replacement , Trochanteric Osteotomy, Anterolateral, Posterior and more recently Anterior have one thing in common; they involve cutting of the anterior or posterior capsule and significant rotation of the leg to effect dislocation and access. There is no doubt that preservation of the capsule and avoidance of excessive rotation greatly reduce post-operative pain and increase stability. In recent years the anterior approach has become more popular but the learning curve is long, orientation unfamiliar and extensile manoeuvres complex. As a more mature surgeon I wanted the immediate benefits of this approach without the difficulty. I became aware of the SuperPath Approach which was a development of the Supracapsular Approach and went to watch surgeries with Jimmy Chow in Phoenix and Mike Cronin in Warwick; thank you both. Over a learning curve of about fifteen patients with the Microport total Hip replacement I felt that a second portal for acetabular reaming and cup positioning was not necessary in all cases. I essentially started using a single incision Supracapsular approach for the Microport intracapsular total hip replacement which is described in my operative technique that follows.